Top 10 Tuesday is a weekly meme put out by the good folks at the Broke and the Bookish. (Here’s their Spring TBR post) I put a lot of thought into this one, trying to make sure I’m catching new books by favorite authors and feeling like I’m ending up with a well-rounded list. It’s a little late as a result, but so it goes. I was aiming for 10 but wound up with a baker’s dozen. This isn’t counting the half dozen others I already have on my shelf at home, and of course another half dozen still unread from my Top 10 Books I missed in 2015. 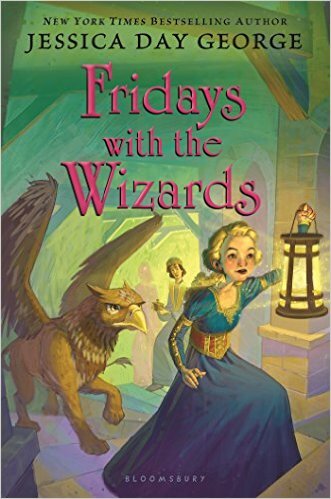 Fridays with the Wizards by Jessica Day George (out now) – This is the most recent in the series beginning with Tuesdays at the Castle – such fun! Perfect for when I’m in the mood for something lighthearted. 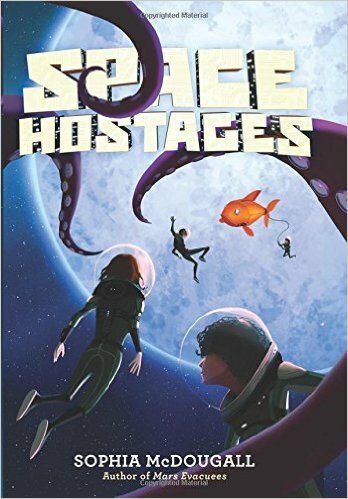 Space Hostages by Sophia McDougall (out now) – the sequel to Mars Evacuees, which I enjoyed so much last year. 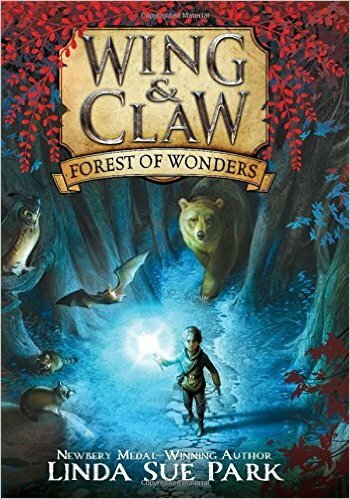 Wing and Claw: Forest of Wonders by Linda Sue Park (out now) – I confess, I haven’t read any of Linda Sue Park’s fantasy, but A Single Shard was of course great and I’mm excited to see her starting a new fantasy series. 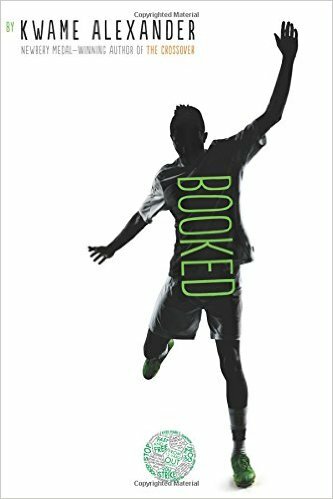 Booked by Kwame Alexander (April 5) – the lone realistic title on my list, because of The Crossover love. I’m also excited about his new picture book, Surf’s Up. 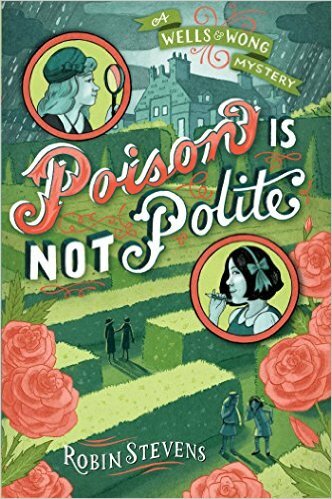 Poison is not Polite by Robin Stevens (April 26) – another entry in the Wells and Wong series which began (in the US) with Murder is Bad Manners, a ripping 1930s British boarding school mystery. 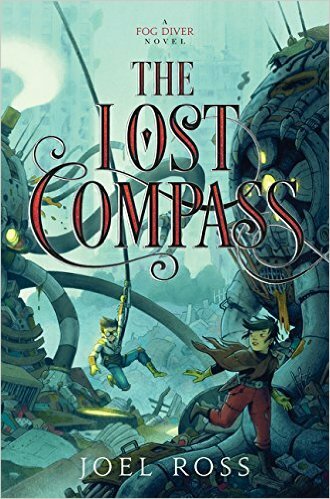 The Lost Compass by Joel Ross (May 24, 2016) – the sequel to this year’s MG Spec Fic Cybils winner (say that three times fast!) The Fog Diver. More steampunk fun with a great team. A Thousand Nights by E.K. Johnston (out now) – Johnston does have a book coming out today, Exit, Pursued by a Bear – but though I will want to read it, I want to read this one from last year more. The Keeper of the Mist by Rachel Neumeier (March 8) – I’ve enjoyed Rachel Neumeier in general, and this one has already been enjoyed by two bloggers I trust, Maureen at By Singing Light and Charlotte of Charlotte’s Library. A Tangle of Gold by Jaclyn Moriarty (March 29) – such a quirky, mind-bending, and very much underappreciated series! Here’s where it started, with A Corner of White. This will hopefully wrap things up. I feel like I’ve been waiting forever for this one! 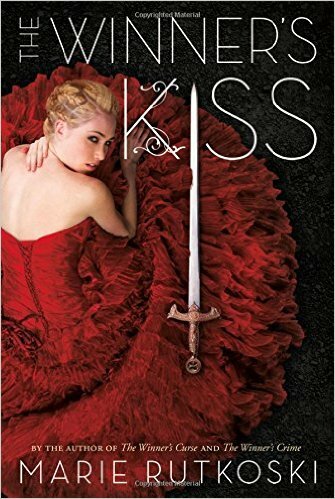 Winner’s Kiss by Marie Rutkoski (March 29) – Thank you, Cybils, for putting The Winner’s Curse on your teen finalists two years ago. I am expecting my heart to break into a million pieces, but I’m going to read it anyway. 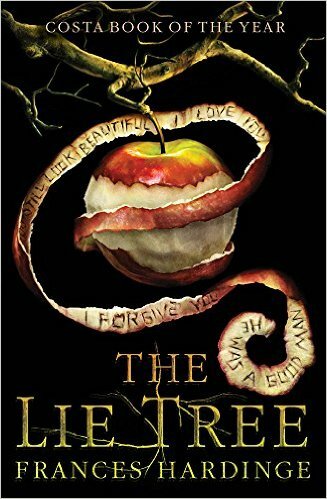 The Lie Tree by Frances Hardinge (April 19) – For years, I heard people raving about Hardinge. Last year I finally read her. Cuckoo Song was amazing. And I have been seeing my UK friends reacting to this book for months now. Months! 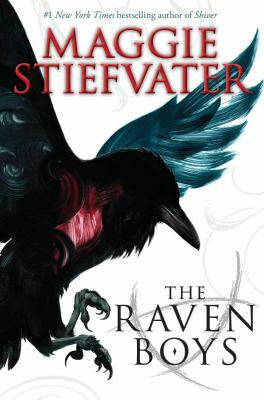 The Raven King by Maggie Stiefvater (April 26) – Can Stiefvater find a way to bring Blue and The Raven Boys through the tangle she’s built without breaking my heart? I’m pretty sure she can’t. I’ll be there for the ride anyway, trying to keep my heart from being stomped on. 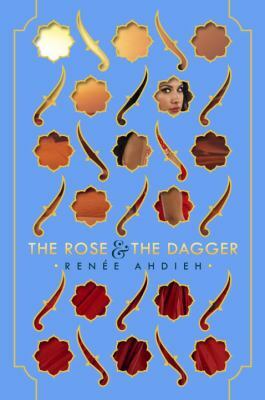 The Rose and the Dagger by Renee Abdieh (April 26) –I put The Wrath and the Dawn on my want-to-read Pinterest board last year, and I still haven’t read it. But now I can read two books together, without having to wait so long for a sequel, right? Also, two different Thousand and One Nights retellings on my list! I can compare, like I did with 12 Dancing Princesses retellings. What are you looking forward to reading this spring? Bonus points if it’s on audio, as I find I have a harder time finding the books that I want on audio. This entry was posted in Books, Lists and tagged Lists, Top Ten Tuesday. Bookmark the permalink. Fridays with the Wizards…oh my gosh! How did I miss Thursdays with the Crown? I really enjoyed the first two books in the Castle Glower series. I need to reserve these next two from the library. Do read the other Castle Glower books, and we can compare notes! I adore Maggie Stiefvater in general, and the Raven Cycle in particular. I’ve been doing the whole series on audio, and enjoying it lots. I LOVE A Thousand Nights. It is so brilliant on so many levels. Johnston just has such a unique voice and perspective in YA lit.